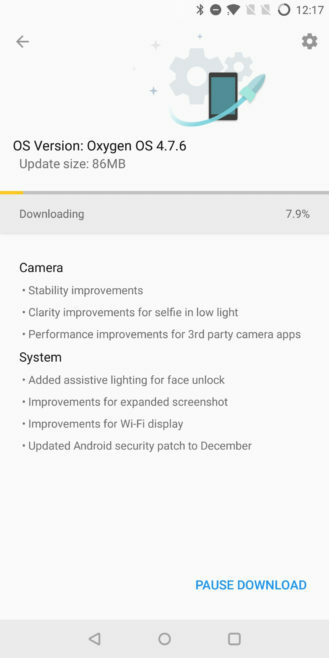 OnePlus has been prolific when it comes to updates over the last month. The most recent device to get the OTA treatment is the company's latest flagship, the OnePlus 5T. 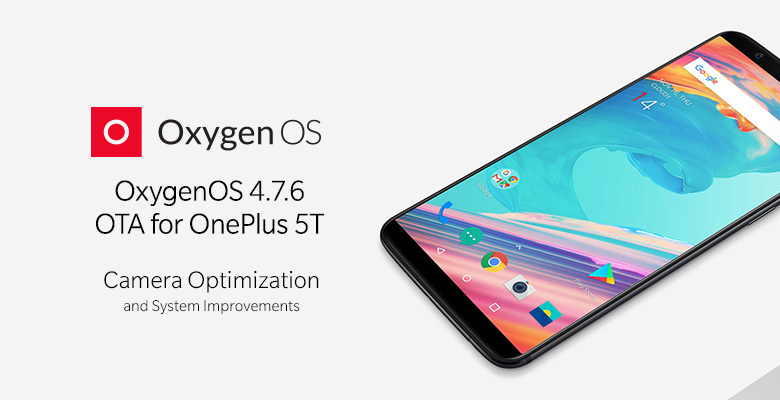 OxygenOS v4.6.7 may not bring you Oreo, but you do get the security patches for December, a handful of camera improvements, and some other miscellaneous fixes and enhancements. So far, I can't notice any differences related to the selfie camera myself, though apparently, it should have better low-light results. 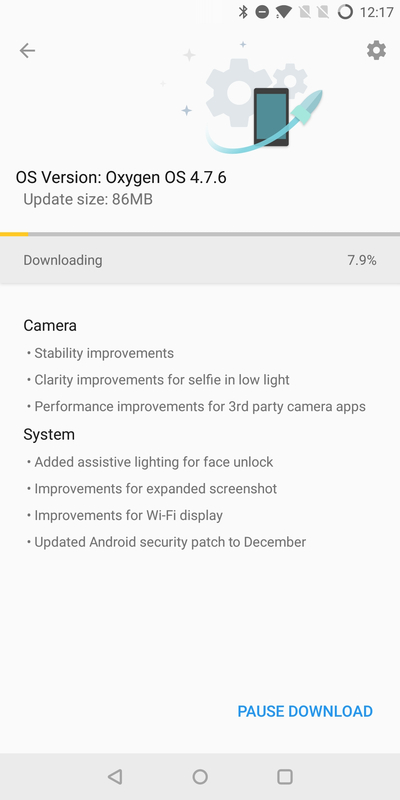 Camera performance with 3rd party apps should also be improved, though I wasn't personally having any problems with 3rd party apps using the camera previously. The fixes may only have applied to specific apps or circumstances outside my workflow. 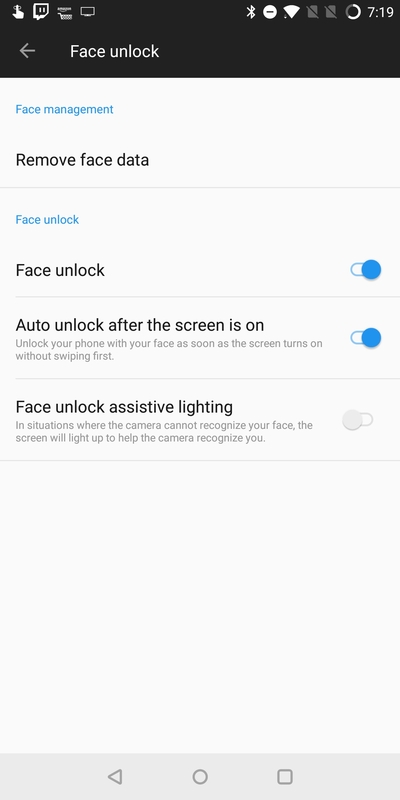 The new assistive lighting setting for face unlock actually works well, increasing the brightness of the lock screen until there's enough light for the camera to see your face. In application, though, it might not work out for everyone. The new feature might be a bit blinding at night when you fumble for your phone in bed. Other changes, like the improvements for the expanded screenshot tool, seem to be more minor. I can't actually find any differences in how it looks or works compared to the previous version. The OTA download clocks in at 86MB and you can grab it early via the usual means—a VPN to Germany or Canada to trigger the download. It should hit a broader number of devices in more markets in the coming days. If you'd prefer not to wait and a VPN isn't your jam, there are download links listed in the OnePlus forum for both the OTA file and full zip image. The latter is a bit larger at 1.6GB so you might want to be on Wi-Fi when you download it.